Double dipped in rich and creamy milk chocolate... The Peanut Shop has become renowned for this seasonal delight. These are the favorite of our employees. You won't be disappointed. Absolutely delicioius. To die for, lol. 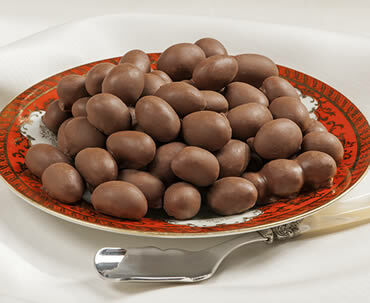 I have been buying these chocolate covered peanuts from The Peanut Shop for years. I can't say enough about them! They are a great gift idea and certainly enjoyed by anyone who likes chocolate and peanuts together. Hats off to The Peanut Shop for handling these and all the other great products they have. I agree with Jill, for chocolate lovers this is a must have! Absolutely Delicious!These are the best ever made,melt in your mouth Chocolate!